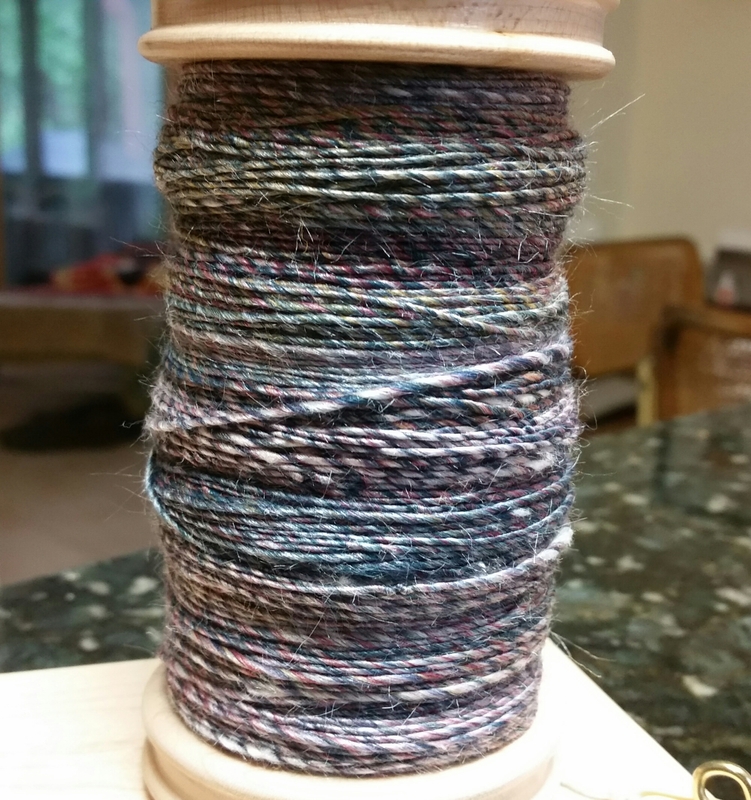 Yesterday was a tough day and I’m really glad for my spinning as a centering practice. It’s a meditation in its own way. After last week’s plying debacle I’m spinning the rest of this merino/silk blend in 4 chunks, matched by weight (about 3 oz each). I’ve finished bobbin number 1 and tonight started on bobbin number 2. I really want to get it spun by Saturday so I can ply these two on Sunday – 3 ounces fills a bobbin and the plying will take a while. So doing it when I have a full afternoon is definitely my first choice. This entry was posted in Art, Fiber and tagged Arts, creativity, Merino-silk Blend, Spinning. Bookmark the permalink.